This week for interactive design we had to code a complex animating scene. 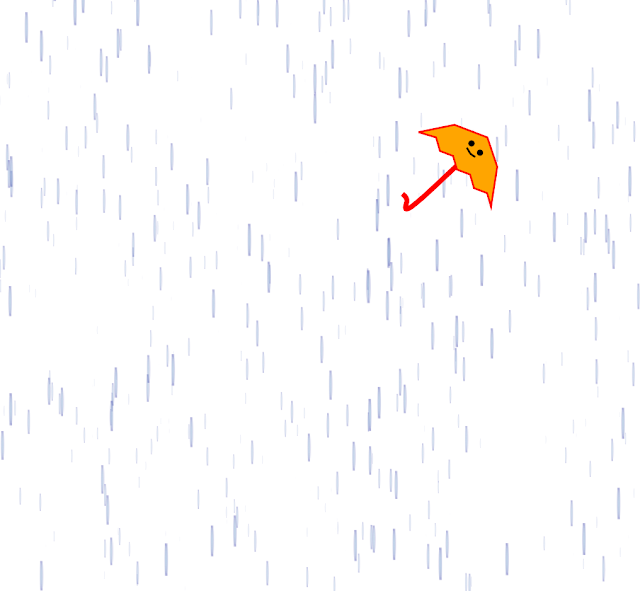 I decided to do a raining scene, since it was raining tonight. When you move your mouse around the screen the little umbrella follows it while it is rotating slowly in the "wind". It is a very simple code, but it took forever to figure out all the bugs I had with it. But it is pretty adorable. Enjoy!